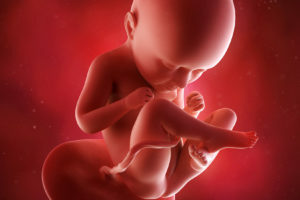 How Big is Baby at 20 Weeks? 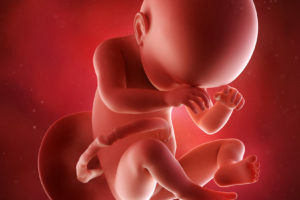 How Many Months is 20 Weeks? This is the halfway mark, mama! You and your baby’s growth have been slightly irregular, but should even out in the coming weeks and months. On a steady path to being full term, here’s what’s happening this week! Weighing in at 9 ounces (260 g), your baby is about the size of a banana. His/her crown-to-rump length is 5 2/3 to 6 1/2 inches (14 to 16 cm). Body Paint – A popular pregnancy trend popping up is to paint your pregnant belly/breasts with an artistic design to express yourself. There is typically the opportunity to take many fun and creative pictures during a body painting session. Not only can it be relaxing to feel the paint on your skin, but it can be a unique way to display your baby bump. Just remember to use paint that is specially designed for the skin. No latex or acrylic paints. Piercings – Body piercings during pregnancy can be a delicate topic to discuss. If you’re thinking of getting one, don’t. Piercing the skin increases your risk of getting an infection – an infection that could easily impact your baby. If you already have a piercing, then you’re fine. Just make sure that you’re cleaning your piercing regularly. Also, keep your piercing comfortable. Many pierced moms replace their original bellybutton ring for one that is more comfortable for their growing belly. Tattoos– Like body piercings, tattoos are a trendy way for people to express themselves. After all, this art form has been around for hundreds of years. Also, similar to body piercings, experts recommend that you wait until after birth before getting inked as it does pose a risk of infection. You are now four months and two weeks pregnant, mama! 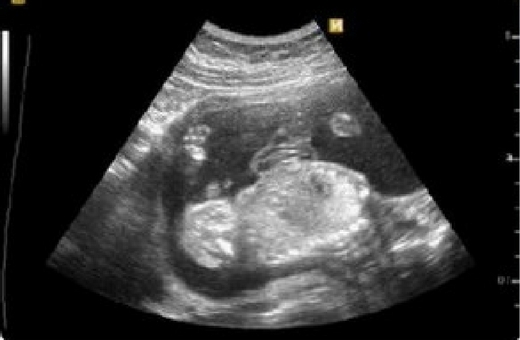 Like mentioned before, you are officially at the halfway mark of pregnancy. 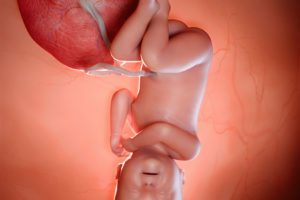 A full-term pregnancy is considered 40 weeks. Some deliver before this time frame and some after. This all depends on you and your baby. 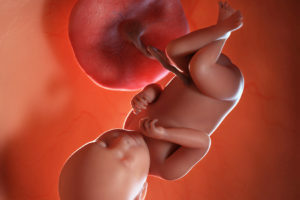 This week is often an exciting week for expecting parents. 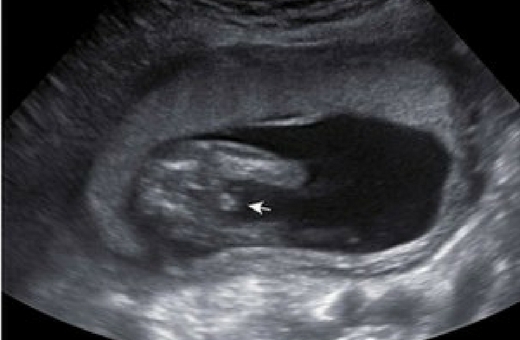 The week 20 ultrasound is usually the one where you learn the gender of your baby. 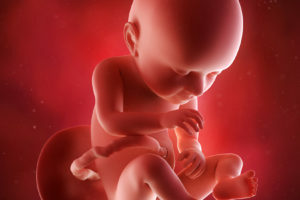 There are other tests now available that determine gender, but many parents find the ultrasound to be the most thrilling. Although you might not be able to distinguish female parts from male parts, your doctor will (assuming your baby’s position is optimal). 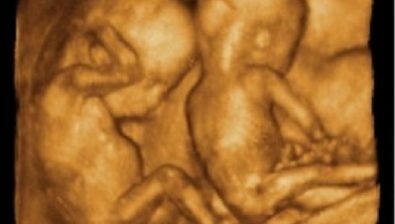 Make sure you get printouts from the ultrasound to take home as a keepsake. If your doctor hasn’t started measuring your belly’s growth with a special tape measure, that’s likely to start this week. Your uterus is about even with your belly button and growth will happen at a more regular pace from now on. The method doctors usually measure an expecting belly is from the belly button to the pubic bone. So expect this kind of measurement on each appointment here on out. If you’re feeling pressure from the weight of your baby, it might be time to look into a belly band. These bands provide much-needed support to your back and ligaments. Plus, they help your pants to stay up. Abdominal Muscles – Whether you had a visible six-pack on your belly or not, your ab muscles were arranged in order and touching each other. Now that your belly is starting to protrude from your abdomen, these ab muscles naturally pull apart to make room for your baby. The separation might feel a little strange and might even be visible, especially when you’re lying down. Most women report this abdominal muscle separation as more strange than painful. But, if you do experience any pain, it’s likely to be an achy feeling in your lower back rather than on your belly. Shortness of Breath – As your baby starts taking up more and more room in your abdomen, this shifts your organs up and back. The location of your organs now might be causing you to feel like you’re out of breath. Some moms describe this feeling as being unable to take a deep breath. Remember that this is perfectly normal, but that you do need to slow down so as not to find yourself out of breath. Energy Rush – Nature has a way of providing energy when you need it most. 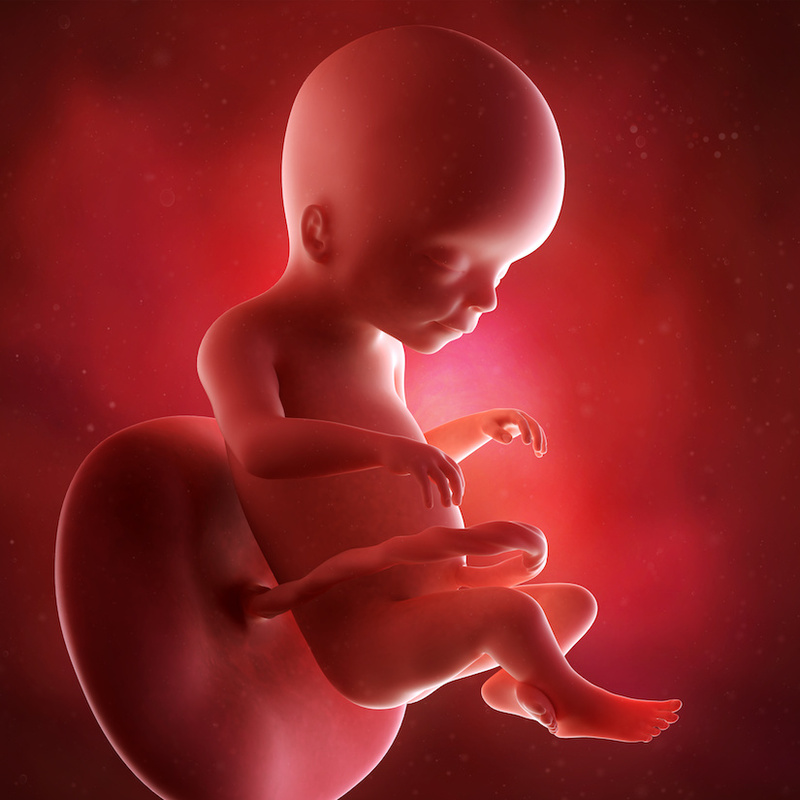 The second trimester is well-known for being the most energy-filled of them all. The combination of feeling less nauseous, not being incredibly huge yet, and feeling overwhelming excitement might contribute to your energy rush. If you’re not feeling that rush, here are a few tips to help you boost your energy. 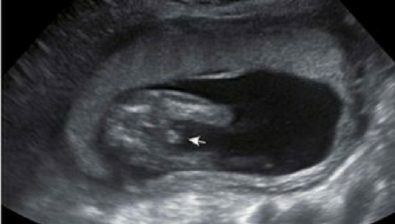 You should be able to hear your baby’s heartbeats and see them squirming around in your uterus on this week’s ultrasound. 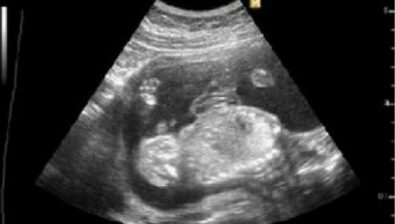 Hopefully, all your babies are in prime position for the doctor to be able to distinguish gender. 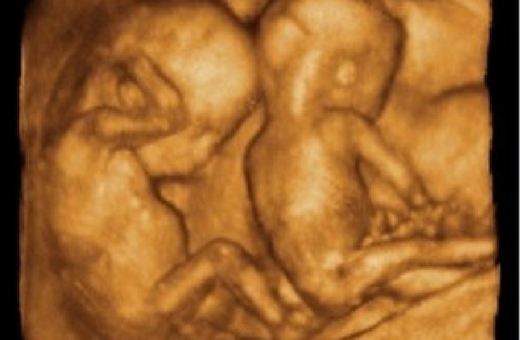 Because twins take up more space than singletons, you might be experiencing digestive issues. Your intestines are basically being crowded out by growing humans, so it’s not uncommon for them to feel a little unusual for a while. Remember to eat small and frequent meals while staying away from fatty or sugary food. 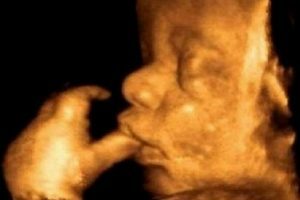 Add your ultrasound pictures to your keepsake file or scrapbook. 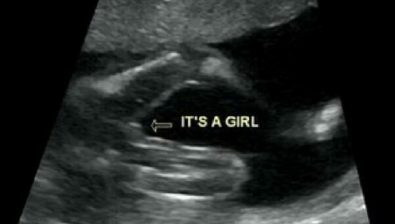 Plan how you will reveal gender. 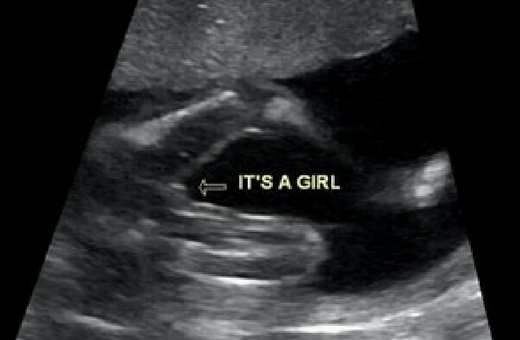 Narrow down baby names now that you know the gender. Start researching the baby gear you’d like to use.